What Should I Ask to Doctor for My Weight Loss Plan? Ask your doctor for any educational brochures on topics such as eating habits, counting calories or physical activity. What You Should Know Before You Start a Weight Loss Plan? Your height and weight influence the BMI. BMI is better measure of health risk than your actual weight in pounds. "Overweight" and "Obesity" are based on BMI values. BMI of 30 or more is considered obese. The higher your BMI, the greater your risk of developing a weight-related illness, such as type 2 diabetes or heart disease. Body fat that accumulates in the stomach area (abdominal obesity) is more of a health risk than body fat that builds up in the buttocks and thigh areas. Waistline provides valuable information about risk for heart disease, high blood pressure, high cholesterol, and type 2 diabetes. a waist circumference too high if it is 40 inches or more in men, or 35 inches or more in women. The proper location to measure the waist is at the smallest spot under the rib cage and above the belly button. Talk to your doctor about healthy eating and physical activities that can help you lose weight, improve your fitness and decrease the chances of developing heart disease, high blood pressure or type 2 diabetes. Doctor can offer practical suggestions that do not require a complete overhaul of your current way of life. Some physician may refer you to a nutrition specialist, such as a registered dietitian, for in-depth counseling about food choices. The flu vaccine is made from an inactivated virus, so you cannot get the flu from a flu shot. Some people may be sore at the spot where the vaccination was injected, and in a few cases, may develop a fever, muscle aches, and feel unwell for a day or two. In very rare cases when a person is allergic to the vaccine, there may be an immediate reaction. The flu and colds are more common in the winter months because that is when the viruses spread across the country. It has nothing to do with being outside in cold weather. These claims have not been proven. Still, it is important to one’s overall health to consume the minimum daily requirement of Vitamin C.
"Feed a cold and starve a fever (flu)"
This is definitely not a good idea in either case. You need more fluids than usual when you have the flu or a cold. Drink plenty of water and juice, eat enough food to satisfy your appetite, and drink hot fluids to ease your cough and sore throat. Echinacea and other herbs are getting a lot of publicity as cold remedies. Zinc lozenges are also said to cure colds quickly. To date, none of these claims are solidly supported by scientific studies. A bowl of chicken soup is a popular home remedy. While hot liquids can soothe a scratchy throat or cough, chicken soup has no special power to cure the flu or a cold. As for hot toddies, another folk remedy, any beverage containing alcohol should be avoided when you are sick. There are types of pain that require prompt medical attention. We often ignore pain that we fell, considering it just for a while and will disappear soon. Carefull!! This pain might become a signal for something more serious heapens with your body. That’s why we sholud understand which pains must not ignore and why. And, of course, if in doubt, get medical attention. - Chest pain could be pneumonia or a heart attack. Be aware that heart conditions typically appear as discomfort (hard to breath or feels something sitting on your chest), not pain, Don't wait for pain! - The discomfort associated with heart disease could also be in the upper chest, throat, jaw, left shoulder or arm, or abdomen and might be accompanied by nausea. - Could be angina, usually worse in cold or hot weather. - Most often it's arthritis. - Other possibilities : a heart attack or abdominal problems. - One danger is aortic dissection; changes of the integrity of the vessel wall. These would include high blood pressure, a history of circulation problems, smoking, and diabetes. No. 4: Severe Abdominal Pain- Still have your appendix? Don't flirt with the possibility of a rupture. - Gallbladder and pancreas problems, stomach ulcers, and intestinal blockages are some other possible causes of abdominal pain. Need attention! - One of the lesser known dangers is deep vein thrombosis (DVT), a blood clot that can occur in the leg's deep veins. - A piece of the clot could break loose and cause pulmonary embolism [a clot in the lungs], which could be fatal. - Cancer, obesity, immobility due to prolonged bed rest or long-distance travel, pregnancy, and advanced age are among the risk factors. - If you have swelling and pain in your calf muscles, see a doctor immediately. - It's a burning or pins-and-needles sensation in the feet or legs that can indicate nerve damage. - Various painful, physical symptoms are common in depression. Vague complaints of headaches, abdominal pain, or limb pain, sometimes in combination. - Get help when you've lost interest in activities, you're unable to work or think effectively, and you can't get along with people. Have you ever heard stomach flu? Well, it’s not a type of flu at all, but it is commonly referred to as such. Stomach flu causes stomach symptoms including diarrhea and vomiting. It’s caused by a virus that cannot be treated with antibiotic. There are certain OTC medications which can reduce and relieve the symptoms. Bismuth subsalicylate (brand names: Kaopectate, Pepto-Bismol) may help treat some types of nausea and vomiting, such as from the flu (influenza). It’s also used for upset stomach and as an antidiarrheal (medicine to treat diarrhea). Certain antihistamines may help prevent nausea and vomiting caused by motion sickness. These include dimenhydrinate (one brand name: Dramamine) and meclizine hydrochloride (one brand name: Dramamine Less Drowsy). Stay home and bed rest until symptoms are gone, it is not advisable to go back to full activity. Drink plenty of liquids and nutrition (avoid using alcohol and tobacco), eat healthy food and lots of fruits; are necessary for rapid recovery and to prevent dehydration. Remember that serious illness from the flu is more likely in certain groups of people including people 65 and older, pregnant women, people with certain chronic medical conditions and young children. Seek medical care immediately (call your doctor or go to an emergency room) if you or someone you know is experiencing any of the signs above. When you arrive, tell the reception staff that you think you have the flu. You may be asked to wear a mask and/or sit in a separate area to protect others from getting sick. Over-the-counter medications can minimize discomfort associated with flu symptoms, but these medications do not treat the virus infection. Congestion, cough and nasal discharge are best treated with a decongestant, antihistamine, or in combination. There are many over-the-counter flu remedies that contain both of these ingredients. There are effective treatments that can reduce the duration of the suffering caused by the flu. See your doctor within 2 days of when flu symptoms appear to find out which treatments are right for you. Time is of the essence! Starting treatment with these medications within 2 days after flu symptoms appear will reduce the length of the illness and the severity of symptoms by at least 1 day. Early treatment can lead to faster results, enabling you to resume daily activities in a shorter amount of time. NOTE: Aspirin should not be used in children under 18 years old because it may play a role in causing Reye Syndrome, a rare but severe liver and central nervous system condition. To prevent Cold or flu, we should know how does the Flu Spreads. The flu usually spreads from person to person in respiratory droplets when people who are infected cough or sneeze. People occasionally may become infected by touching something with influenza virus on it and then touching their skin, mouth, nose or eyes. What Can You Do to Prevent a Cold? Avoid close contact with people who have a cold, especially during the first few days when they are most likely to spread the infection. Wash your hands after touching someone who has a cold, after touching an object they have touched, and after blowing your own nose. If your child has a cold, wash his or her toys after play. Keep your fingers away from your nose and your eyes to avoid infecting yourself with cold virus particles that you may have picked up. Put up a second hand towel in the bathroom for healthy people to use. Keep an eye on the humidity of your environment so that your sinuses do not dry out. Do not inflict your cold on others! 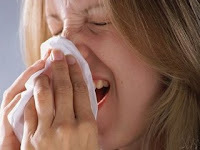 Cover your nose and mouth with a tissue when you cough or sneeze, then throw the tissue away and wash your hands. Also, stay away from people who are most vulnerable, including anyone who has asthma or another chronic lung disease, or at least try to limit close contact. 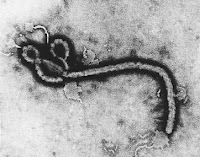 An inactivated vaccine (containing killed virus) that is given with a needle, usually in the arm. For use in people older than 6 months, including healthy people and people with chronic medical conditions (such as asthma, diabetes, or heart disease. A vaccine made with live, weakened flu viruses that do not cause the flu (sometimes called LAIV for “live attenuated influenza vaccine” or FluMist®). For use in non high risk group; healthy people 2-49 years of age who are not pregnant. You need a flu vaccine every year because the virus is constantly changing and new vaccines are developed annually to protect against new strains. Early winter season, or rainy season is the best time to get vaccinated. NOTE: No vaccine is 100% protective and the flu vaccine is no exception. 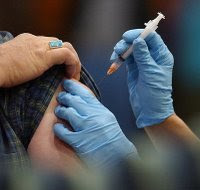 Sometimes a person who has been vaccinated will still come down with the flu. Influenza (commonly known as the flu) and colds are among the most common infections of the respiratory system. People often confuse the two, calling a bad cold the flu. Special tests that usually must be done within the first few days of illness can be carried out, when needed to tell if a person has the flu. There are some key differences between these two unwelcome visitors, even though they are both caused by viruses, and are both likely to occur during the winter months. Colds are minor infections of the nose and throat caused by several different viruses. A cold may last for about one week, can be longer, especially in children, elderly people, and those in poor health. Adults get an average of two to four colds per year, mostly in winter or extremely season change. Colds are highly contagious. They most often spread when droplets of fluid that contain a cold virus are transferred by touch or inhaled. It cannot be treated with antibiotics. Unfortunately, the only true treatment is to wait until has run it's course. Colds generally do not result in serious health problems, such as pneumonia, bacterial infections, or hospitalizations. Infants and young children are more likely than adults and teens to develop a fever. Smokers usually have more severe symptoms than non-smokers. Recognizing the symptoms of the common cold is important for a few reasons. If you realize what symptoms are bothering you the most, you will know which medications will help relieve them. You may also prevent unnecessary doctor visits if you know that you have a cold. Since your doctor cannot cure your cold, there is no reason to see the doctor unless your symptoms last longer than two weeks. What is the Flu?Flu is similar to the common cold but the symptoms are usually much more severe. It can be very serious and even fatal, can lead to death. The flu is a virus called influenza. It cannot be treated with antibiotics, but may be prevented with a flu shot and new antiviral medications, such as Tamiflu, may help shorten the duration of the flu. If you can take Tamiflu or another antiviral flu medication within 48 hours of the start of symptoms, the flu may be shorter or less severe. Most people recover from the flu within one or two weeks, but others, especially the elderly, may feel weak for a long time even after other symptoms go away. Drink plenty of liquids and nutrition (avoid using alcohol and tobacco), eat healthy food and lots of fruits. There are over-the-counter (OTC) cold medicine to reat the spesific symptoms. Over-the-counter medications can provide temporary relief of symptoms and should be used as soon as you feel a cold coming on. Acetaminophen is less likely to upset your stomach than other non-steroidal anti-inflammatory drugs (NSAIDs), such as ibuprofen which are used to relieve aches and pains. However, studies have shown that acetaminophen, aspirin or any other NSAID may worsen asthma and/or peptic ulcers. Aspirin should not be used in children under eighteen years old because it may play a role in causing Reye Syndrome, a rare but severe liver and central nervous system condition. Be sure to discuss all medication choices with your doctor. Congestion, cough and nasal discharge may be treated with a decongestant, antihistamine or a combination of the two. There are no antiviral medications available for treating the common cold. Antibiotics are not useful for treating a cold, and should only be taken to treat bacterial complications that arise from it. Herbs and minerals such as echinacea, eucalyptus, garlic, honey, lemon, menthol, zinc, and vitamin C (up to 500 mg) have gotten a lot of publicity as cold remedies. Adequate liquid intake is recommended. Eight glasses of water and/or juice per day are recommended. This will help keep the lining of the nose and throat from drying out, so that mucus remains moist and easy to clear from the nose. Avoid coffee, tea or cola drinks that contain caffeine andavoid any drinks that contain alcohol. Caffeine and alcohol lead to dehydration. Don’t smoke! And Stay away from other smokers; The smoke will further irritate your throat and make the cough even more. Antiviral drugs are an important second line of defense in the prevention and treatment of flu. Antiviral drugs are important in the treatment and prevention influenza. Influenza antiviral drugs can be used to treat the flu or to prevent infection with flu viruses. Treatment with antivirals should begin within 48 hours of getting sick, and can reduce your symptoms and shorten the time you are sick. When used for prevention, antivirals are 70% to 90% effective in preventing infection with influenza viruses. Antiviral drugs are effective across all age and risk groups. Two antiviral drugs (oseltamivir, brand name Tamiflu®, and zanamivir, brand name Relenza®) are approved for treatment of the flu. Oseltamivir is approved to treat flu in people one year of age and older. Zanamivir is approved to treat flu in people 7 years and older. These are prescription medications, and a doctor should be consulted before the drugs are used. Antiviral treatment lasts for 5 days and should be started within 2 days of illness, so if you get flu-like symptoms, seek medical care early on.